Our guide to Chicago will help you find the best breweries in Chicago Illinois. Cutting-edge architecture, legendary blues, and scrumptious dining? Check. Lavish shopping, world-class museums, and lake views? Check. Glorious parks, major-league baseball, and side-splitting improv? Check. Deep-dish pizza, piled-high hot dogs, and Italian beef sandwiches? There are tons of great breweries in the city of Chicago, our city guide will help you find the best breweries. You may have a hard time deciding what to do in Chicago, but we make your decision easy. The neons may say Old Style, but now that Chicago has become the epicenter of the Midwest’s microbrewing revolution, most bars stack the chalkboard tap list with craft beers brewed an L ride away. As a result, the Windy City has become one of the country’s best places for small-batch beer you can’t get anywhere else. The city has more than 20 breweries and brewpubs, many of them award winning. At World Beer Cup champion Piece Brewery and Pizzeria in Wicker Park, the Dysfunctionale India pale ale perfectly matches the New Haven–style pizza. The 13,000-square-foot Revolution Brewing brewpub, opening in Logan Square this fall, will serve promisingly attitudinal ales such as a pale ale called Iron Fist. 1824 W Division St, (773) 862-8686 - Moonshine is a brewpub located in Chicago IL. 2323 N Milwaukee Ave, (773) 227-2739 - Revolution Brewing LLC is a brewpub located in Chicago IL. 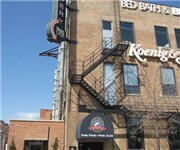 1800 N Clybourn Ave, (312) 915-0071 - Goose Island Brewpub is a bar and grill located in Chicago IL. 1927 W N Ave, (773) 772-4422 - Piece Brewpub is a bar and grill located in Chicago IL. There are plenty more breweries in Chicago. 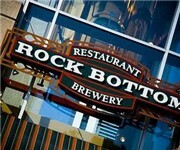 See all breweries in Chicago Illinois.